During 2010- 16, ITfC designed and implemented a new model of teacher-education, based on ‘professional community of practice’ amongst teachers, in collaboration with RMSA and DSERT Karnataka,called the 'Subject Teacher Forum' program (STF). On similar lines, ITfC in partnership with RMSA Assam and UNICEF to implement the Assam STF program. ITfC designed and conducted workshops for Mathematics teachers from 10 districts on using ICT for mathematics subject teaching and teacher professional development, and a second group of computer teachers from the same districts, on hardware and software processes and trouble shooting. 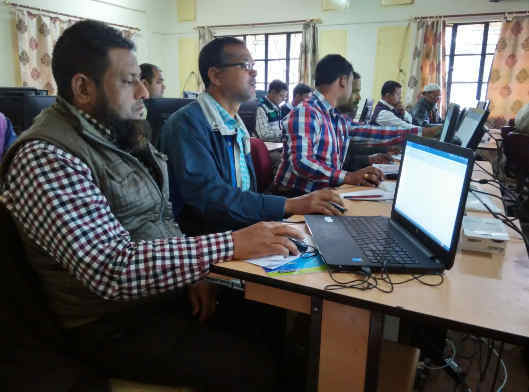 These teachers will conduct similar workshops for their colleagues at the district level, to enable teachers to learn to use free educational software applications, become members of virtual forums to form professional learning communities.